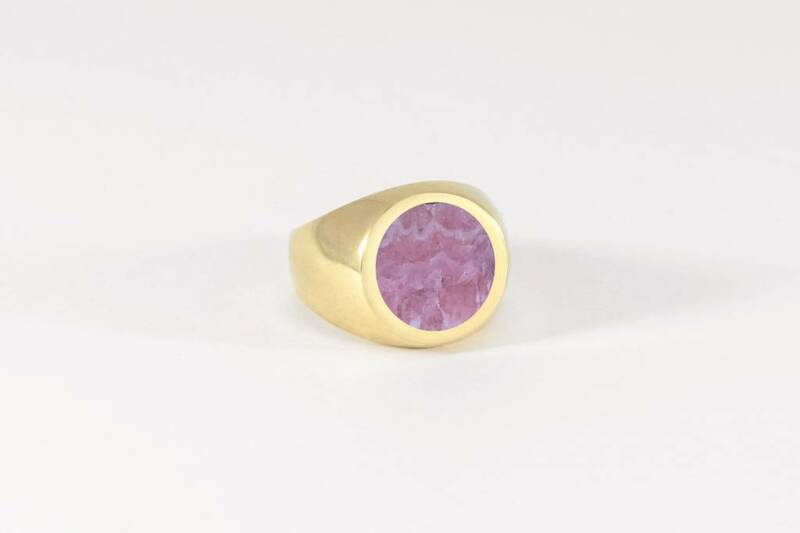 South American Rhodochrosite Stone in brass. Size 7. Associated with the sign of the Scorpio.